supplement and a delicious treat. Dosage: Children (2-8 years): Chew 2 gummies 1 time per day. Children (9-13 years): Chew 4 gummies 1 time per day. Non-medicinal Ingredients: Pectin, purified water, evaporated cane juice, tapioca syrup, citric acid, sodium citrate dihydrate, black carrot juice, annatto extract. Love these gummies. Use them in conjunction with the multi vitamins (as per the company) for an extra vitamin C boost for my toddler. Love this product. Have been using for years with the littles. These are yummy, my son asks for them every day! They really help to ward off colds! My kids love these and ask for them every morning. Big container, it lasts a long time. They taste great! 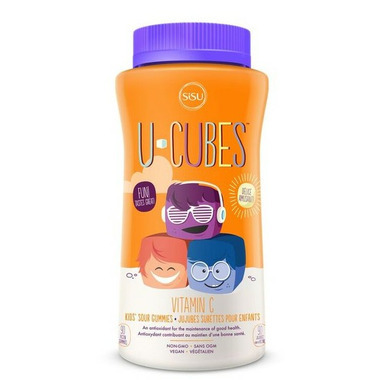 This flavour isn't as tasty as their other children's vitamins but my toddler still likes them!